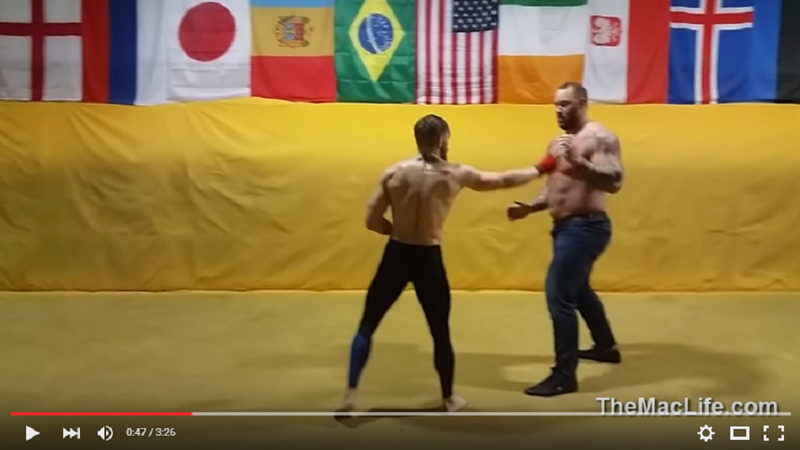 UFC featherweight interim champion, Conor McGregor faces off against Game of Thrones’ [6ft9 400lb] Gregor Clegane aka ‘The Mountain’ in what Conor called a “bare-knuckle fight” but it was hardly that. Iceland native Hafthór Júlíus Björnsson plays “The Mountain” in the show. 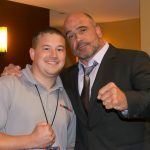 Hafthór won several contests in 2010 including Strongest Man in Iceland, Iceland’s Strongest Viking, Westfjords Viking,and recently the OK Badur Strongman Championships in Iceland. McGregor fights Jose Aldo to finally solidify the UFC 145-pound title at UFC 194 on December 12 at the MGM Grand Garden Arena in Las Vegas, Nevada.